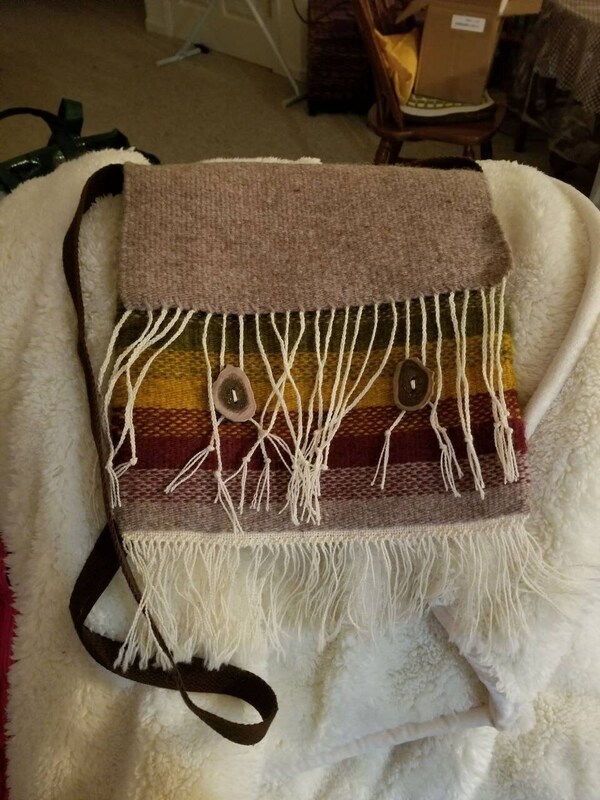 This is an original designed handwoven double weave purse. 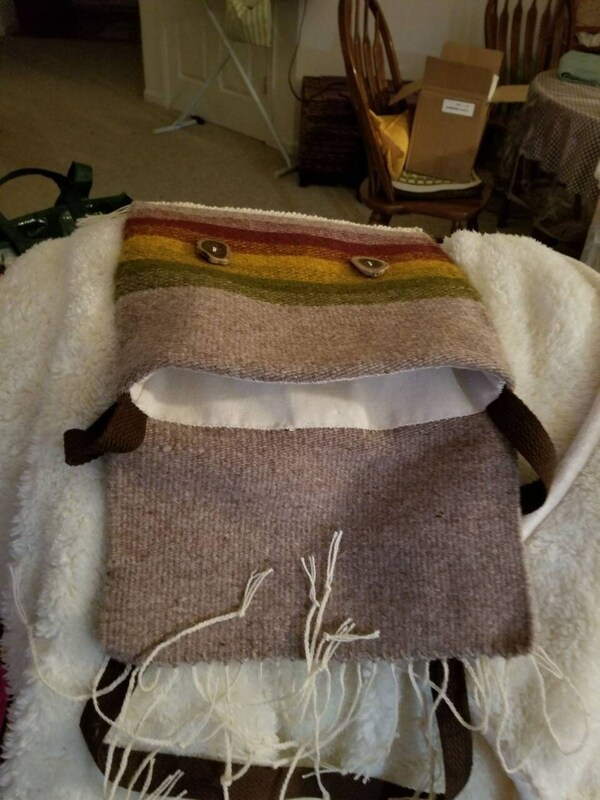 It is woven out of natural colored and hand dyed churro wool. It is 12 inches long and 12.25 inches wide (not including the strap) It is fully lined with cotton duck cloth. It has two deer horn buttons as for closures.